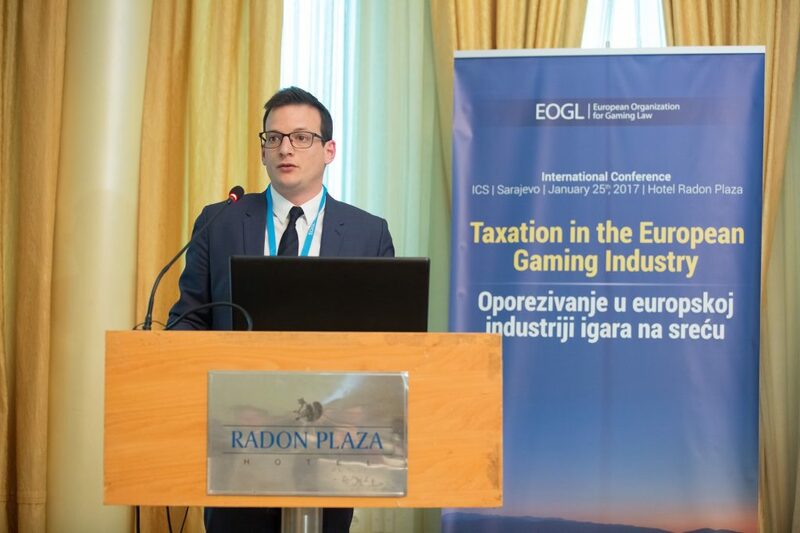 International conference “Taxation in the European Gaming Industry”, organized by European Organization for Gaming Law, was held on 25. January 2017 in Sarajevo. European and domestic experts from the field of economy, finance, law and gaming and betting industry presented taxation models in the European Union and Federation of Bosnia and Herzegovina, analyzing the current Gaming Law in the Federation of Bosnia and Herzegovina, and proposed amendments of the Law, initiated in the procedure by the Government of the FBH. Participants of the Conference agreed that the taxation model proposed by the Government of Federation of Bosnia and Herzegovina would have damaging consequences for the industrial environment, state budget and citizens of the Federation of Bosnia and Herzegovina. 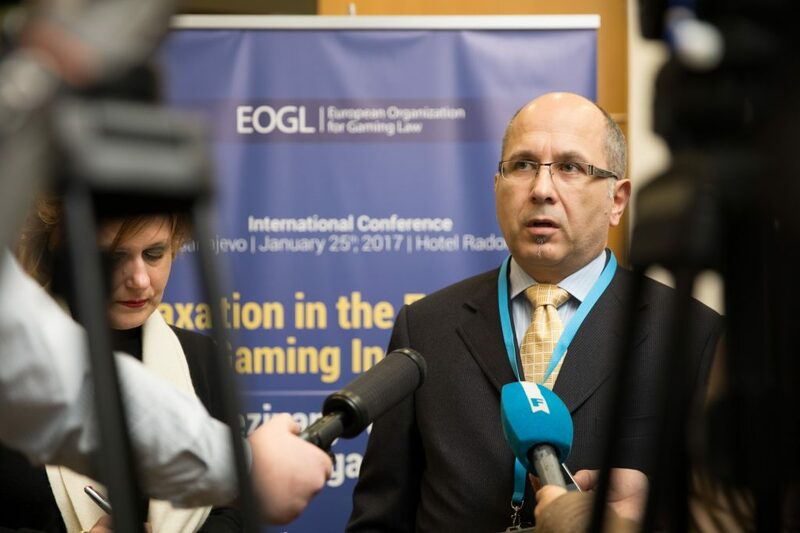 The general conclusion of the Conference was that the turnover taxation in gaming and betting and taxation of all winnings are opposite to positive legal practice in the European Union and developed countries of the world. Issue of multiple increase of utility taxes for signboards was stated as well, including the existence of other para-fiscal fees, that significantly harden or completely disable the operations of gaming organizers, leading to the questionable survival of this industry on the market. Several steps were proposed that the Government of FBH should take in order to achieve quality regulation of the market and adopt regulations in compliance with the Principles of the European Union and modern global trends. Speakers of the Conference were President of EOGL Nikos Roumnakis, RGA Director of Government Relations Pierre Tournier, European expert for gaming legal issues Pieter Paepe, financial experts professor doctor Izudin Kesetović and professor doctor Hasan Mahmutović and many others. RGA Director of Governmental relations Pierre Tournier has pointed out harmfull impact of implementation turnover tax and tax on all winnings by gambling market. He also explained all advantages of GGR method of taxation for stability and development of the market as well as for state income.